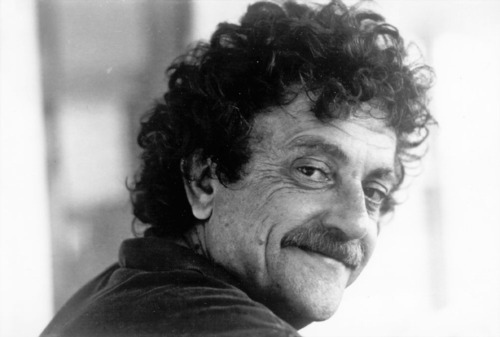 Six years ago today I was sitting in my Chaucer class at Indiana University when I learned Kurt Vonnegut had just died. I burst into tears and the professor asked if I needed to leave, so I did, and smoked a pack of Pall Malls and cried some more. But then I remembered that joke he told at a fellow humanists' funeral, "He's up in heaven now." I've been laughing ever since. Thank you, Kurt. You've done this weirdo a whole lot of good.